Need a Furnace Repair in April? Yes, Have It Done Soon! 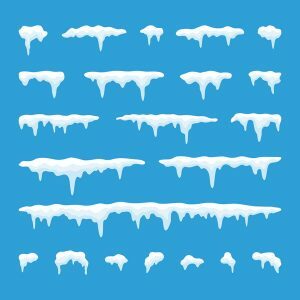 If you recently glanced at weather reports from around the country, you’ll have noticed how unpredictable April can be: snowstorms striking Vermont, Minnesota, Michigan, and Wisconsin. Central California never experiences anything so extreme (except up in the mountains), but April is still no time to risk having your heating system fail. So even though the calendar says it’s spring, don’t let that stop you from taking action with your furnace if it’s putting your comfort in jeopardy. Posted in Heating | Comments Off on Need a Furnace Repair in April? Yes, Have It Done Soon! Although the official start of winter doesn’t arrive until the third week in December, the cooling in the Central Valley often sets in earlier. Right now, we are still experiencing warm days, but the nights are developing a chill. Once Daylight Savings time ends in November, we can anticipate a faster change in the temperatures to the colder side. Right now is the time to see that your HVAC system is prepared for the change in seasons. Here’s what you can do to help prepare it. Ductless heating systems are designed to eliminate the cumbersome system of hidden passages that deliver heated air from a central furnace to all of the rooms of your house. They usually consist of a number of smaller units that individually heat different sections of your home. Ductless systems offer a lot of advantages, such as increase efficiency and the ability to tailor the temperature in different parts of your home. And here in Fresno, heating repair services see a lot of them, since they work very well in mild climates like ours. Sadly, no system is foolproof and those repair experts are sometimes necessary to handle problems. Yes, even your ductless heating system may need repair. Many ductless heating systems also serve a dual function as air conditioners: heat pumps pull double duty by making innovative use of the same refrigerant cycle that helps AC units do what they do. When leaks spring up in the system, the lower levels of refrigerant can create big problems, reducing efficiency and increasing wear and tear on the systems. You need a repairman to hunt down the leaks and recharge the refrigerant before the system will function again. Ductless heaters often use fan blowers and similar methods to distribute warm air. The motors running those blowers can become worn or damaged, creating problems with distributing the heat. Problems with electrical connections can interfere with the ductless heater’s ability to function as well, and usually requires professional expertise in order to treat properly. Other problems of this sort can crop up, ranging from an excessive build-up of dust to clogs in the drain line. The good news is that ductless systems are compartmentalized, so repairing it doesn’t necessarily mean surrendering heat in your entire house. And Fresno heating repair services are ready to help regardless. Here at Purl’s Sheet Metal & Air Conditioning, we have the experiences and know-how to handle repairs for your ductless heating system. 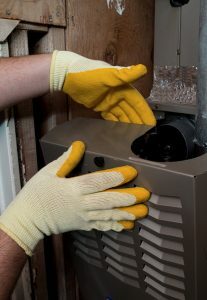 Yes, even your dustless heating system may need repair. But if you give our Fresno heating repair service technicians a call today, we’ll show you just how reliable a repair service can be. Here in Fresno, heating concerns raise their head every winter, as our hot Central Valley summers fade to the rainy, chilly season. Good heaters are a key part of keeping your home warm and cozy, and when they malfunction, you need to have the problem addressed as quickly as possible. Most heaters make some kind of noise when they operate, either with a blowing fan motor, a soft hum of electricity, or the like. When strange noises occur, it’s usually not a good sign. What qualifies as strange noises – noises every heater should not make? A quick overview can be found below. 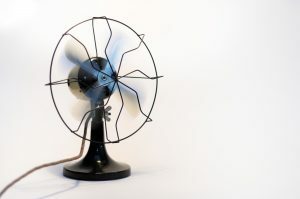 In the simplest possible terms, a strange noise is any noise that you don’t recall hearing before, and that doesn’t seem connected with the heater’s normal functions. You’ll usually know it when you hear it. It can be something obvious, such as a buzzing or a grinding noise which occurs when the fan is bent or something is caught in it. You might also hear a loud knocking noise when a motor overloads, or a dripping noise if there’s a problem with the drain line. In other cases, the noise might be more subtle. For example, if there’s a breach in the duct system, you might here a soft humming or a whistling. Or a loose bolt somewhere in the heater itself might cause a quiet rattling when the heater turns on. These usually aren’t quite as dire as louder noises, but they can still cause tremendous damage to your heating system if left untreated. Either way, if you detect any noises that every heater should not make – which is to say, any noises you haven’t heard before and/or which sound problematic – then your best bet is to shut off the heater and call in a qualified service technician immediately. 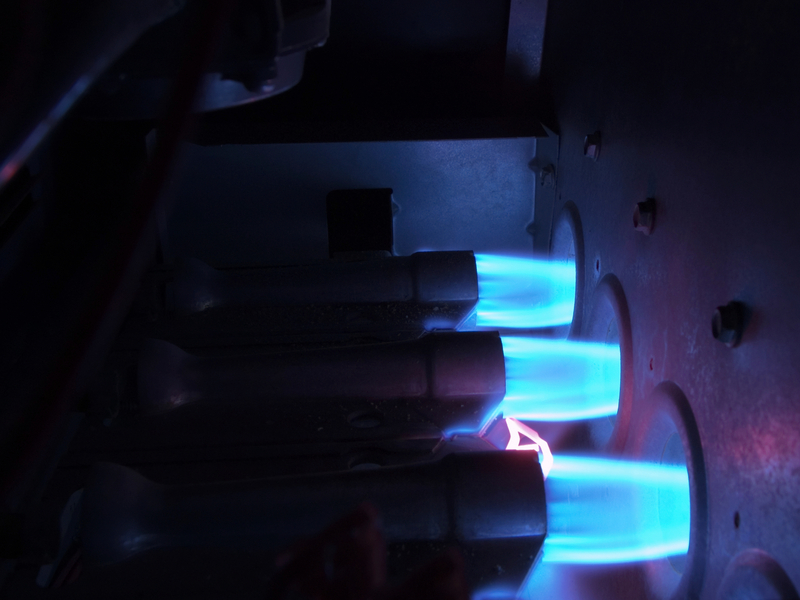 In Fresno, heating repairs are covered by the experts at Purl’s Sheet Metal & Air Conditioning. We’ll track down the source of the noise and make repairs with all of the courtesy and professionalism you’ve come to expect. Pick up the phone and give our Fresno heating repair service technicians a call today!